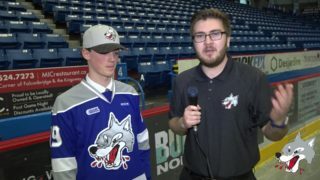 The Sudbury Wolves welcomed the Hamilton Bulldogs for the second and final time this season Friday night. Halfway through the second period, the Bulldogs scored two unanswered goals to run away with the 3-1 victory over the Wolves. It was an even matched first period with the Wolves and Bulldogs both exchanging a number of solid chances. RYAN VALENTINI had an excellent chance on a breakaway to open the scoring but could not beat Bulldogs goaltender KADEN FULCHER. 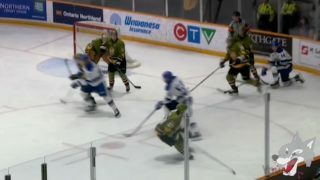 BRANDON SAIGEON opened the scoring for the Bulldogs beating JAKE MCGRATH to make it 1-0 for the visitors. Feisty was the name of the second period with the Wolves and Bulldogs exchanging words early on. LIAM DUNDA tied the game for the Wolves as he made a move in front of FULCHER to net his third goal of the season. The Bulldogs answered back, scoring two quick goals from TRENT FOX and CONNOR WALTERS. The Bulldogs drew momentum from the goal and began applying strong pressure to the Wolves. That would do it for the Wolves as they went into the dressing room down 3-1 after 40 minutes. The Wolves had a number of close chances in the third period but could not rid their lack of scoring luck. CJ YAKIMOWICZ had three shots on the side of the net back to back but couldn’t convert. MICHAEL PEZZETTA also had a great chance as he broke in alone on a penalty kill but was taken down and into the net. 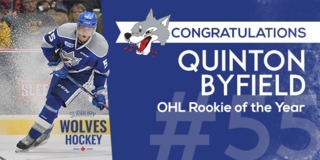 That would do it for the Wolves as they fell by a 3-1 final, with final shots on goal 29-16 in favour of the Bulldogs. 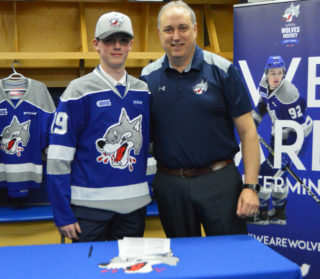 Wolves Hockey returns Sunday afternoon as the Sudbury Wolves remain at home this weekend for a matinee matchup when they welcome the East Division’s Kingston Frotenacs to the Sudbury Arena. 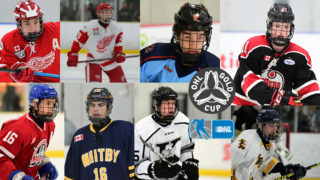 Puck drop is at 2:00 pm. Sunday is Family Day! Kids 12 and under receive admission to the game for only $10 when accompanied by an adult. 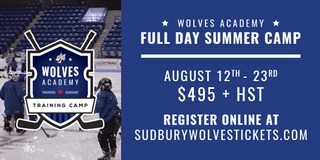 Tickets are available at greatersudbury.ca/tickets or on Sunday beginning at 11am.